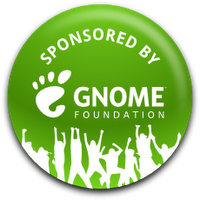 Thanks to the generous travel sponsorship from the GNOME Foundation, I’ll be attending this year’s GUADEC in A Coruña, Spain. This will be my 3rd GUADEC and my first trip to Galicia. I’ve been head down in a couple interesting endeavors for the last few months and am looking forward to having a good chunk of time to devote to GNOME System Monitor. But honestly, I mostly look forward to defending my goal, and my title from the Desktop Summit.